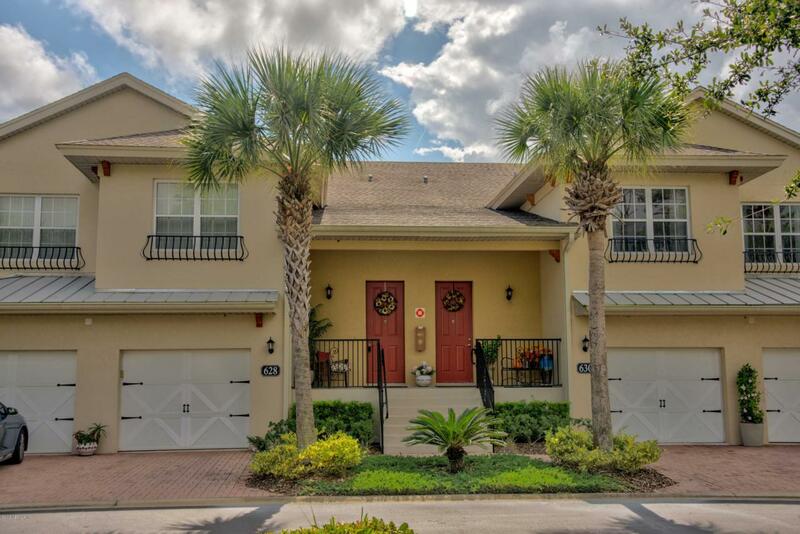 Live the Florida Lifestyle in this spacious 2,231 sq ft. 3 bdrm, 3 bath upper End Unit with Southern Exposure. This unit is light & bright with gleaming hardwood floors that greet you as you enter the spacious living room that leads to a large screened balcony offering a scenic view of the blue tees of 3rd hole and overlooks 4th green. The kitchen boasts 42-inch cherry cabinets with under mounted lighting, granite counters with beveled edge, breakfast bar, WALK-IN pantry,, casual & formal dining areas. New carpet in Master bedrooms, Walk in closet and additional closet in Master as well as a jacuzzi tub. Newly painted, new HVAC installed 2018. Attached 1 car garage. Enjoy walks on nature trails & tennis courts. Within minutes of popular dining & shopping. This unit is MOVE IN READY.